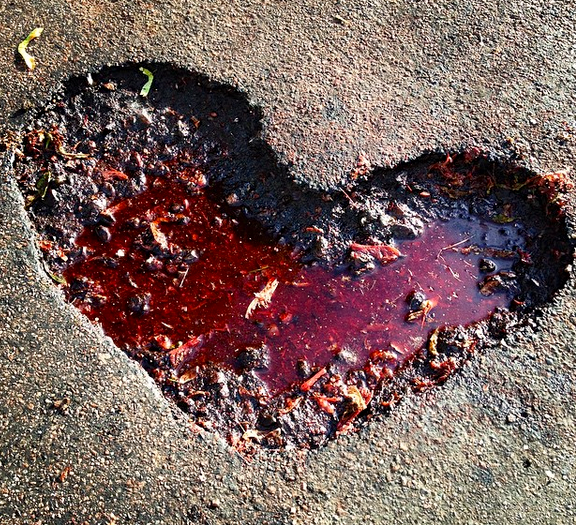 My heart is just a blood-soaked pothole in someone’s back alley. Ah, love. It’s a many-mansplain’ed thing. Seriously, I’ve got nothing constructive to say about the institution of marriage. I never married. It seems ridiculous to mention it, but there were times I thought it was possible. But that happened only rarely. I feel compelled to weigh in now that my story is at the point where I attend my brother’s wedding in 1989. And this being 2017, it’s also the year that he and his wife of 28 years finalize their divorce. —Am I surprised? Yes and, well, no. No need to pull out the statistics. 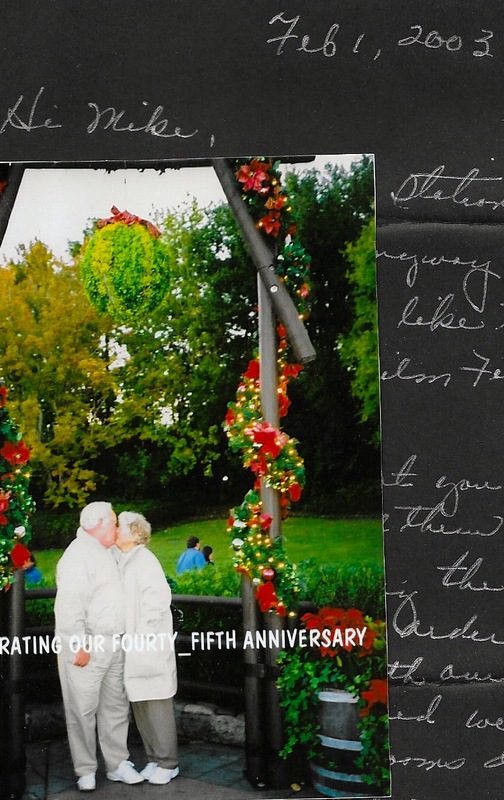 Most marriages don’t succeed—that’s generally acknowledged. And I don’t see any reason to run through the histories of my friends’ (or family’s) relationships or marriages (failed or otherwise) because the story we think we know is never the reality the couple actually experienced together. The opinions of anyone else instantly makes any judgment moot. They had a lovely run, Brian and his wife. Three beautiful, healthy children, a couple well-maintained homes, and memories with doting grandparents on both sides of the family. Our parents, for their part, were proud about two things: that Brian married (since it didn’t seem likely I would) and that I graduated college (that, too, looked dicey for the longest time). My journal recaps the wedding on Monday, Oct. 9, 1989, but says little about my state of mind and nothing about how distant I felt during it. I was smack in the middle of a “creative period.” That summer I’d finished Vicious Frieze III and was writing the first draft of the Ellen Terry screenplay. I took classes at Metro State University during the day and worked the night shift proofreading direct-mail marketing pieces. I had my own apartment but had broken up with Sally, my most recent girlfriend at the time, in 1987. I was also growing my hair out, which appalled my parents, even to the point where they demanded (something I learned only from Brian) that I cut it in time for the wedding—something I refused to do. After the rehearsal at St. Therese Catholic Church (Stacey, my brother’s bride, was Catholic), the folks had booked a rehearsal dinner on a Lake Minnetonka yacht that left from Excelsior Commons. The morose meets ebullient. Hrm. 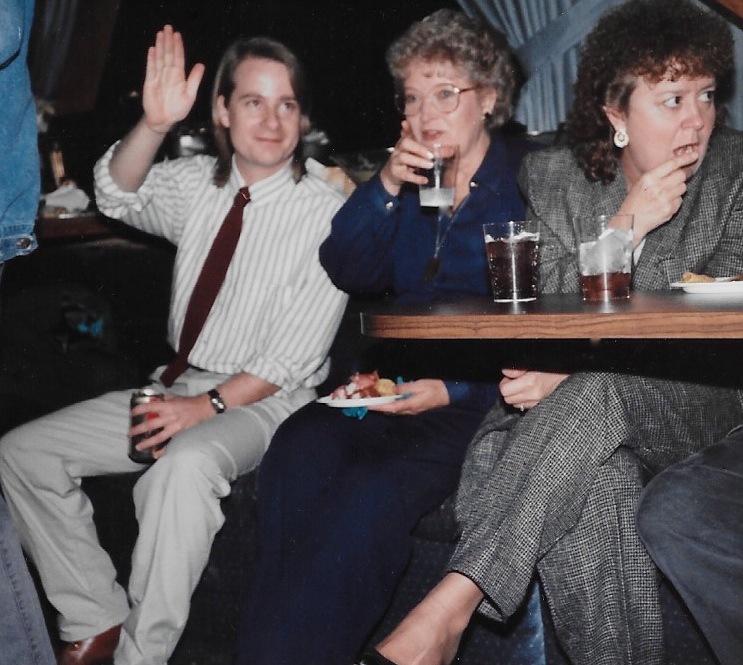 I probably should’ve been more present, but by 1989 I’d attended a fair share of high school friends’ weddings and, while I enjoy them for the optimism, cheer, good food and coffee, I get easily exhausted by large groups of people. Five years after that, Mom died. Then Dad died of a heart attack four months later. How will their sons make it on their own? How will my brother and I live in a world without women? I’m concerned because I don’t know how he weighs in on the issue. My women friends sustain me—and I try my best to help sustain them—but we’re currently in a worldwide culture war. Who will we end up supporting? Who will support us? Maybe I have nothing constructive to say about marriage. But I will say that the private world of two people can ripple out and touch so many lives. If marriage is important, then I guess it can be looked at from that perspective. ~ by completelyinthedark on September 28, 2017.